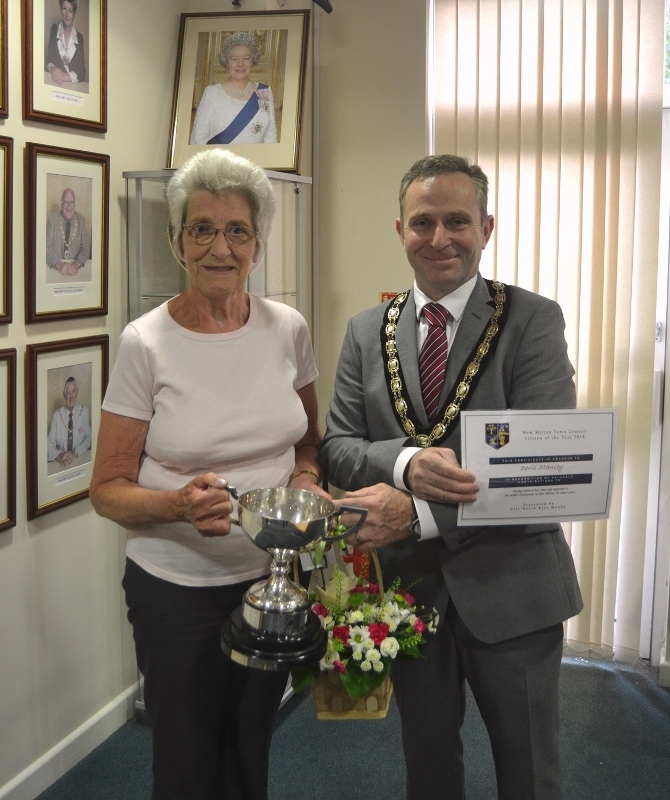 The New Milton Citizen of the Year Award 2018 was presented to a very worthy winner, Doris Stanley, who had been nominated by a list of friends and volunteers who appreciate everything Doris does in the community. 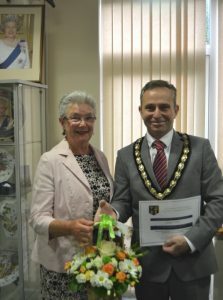 The Town Mayor, Cllr David Rice-Mundy was delighted to present the award to Doris at the recent Annual Towns Meeting which was well attended by members of the public and supporters of the Citizen of the Year Award. Doris Stanley is very well thought of by all she helps, including supporting the various church activities at St Mary Magdalene, particularly the annual Fete which she organises, and her continued enthusiasm for the Girl Guides was applauded. 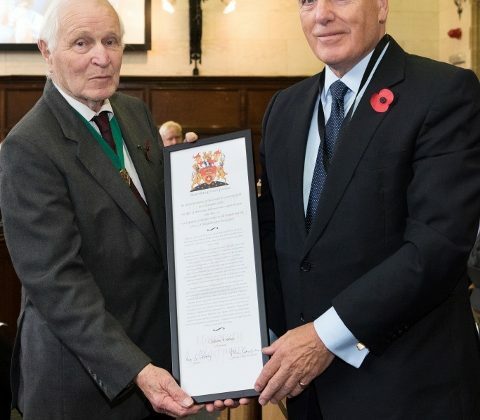 The Mayor received a variety of nominations from the community for many worthy residents who are the unsung heroes in our town and choosing an ultimate winner was quite a task. 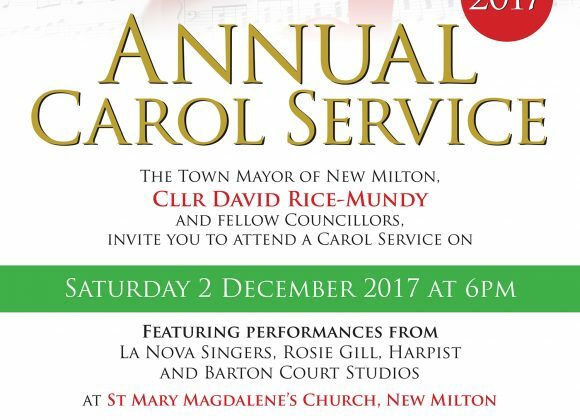 This year it was decided to award a commendation to another resident, Janet Trow, who was also nominated by a list of people wanting to acknowledge her contribution to the Jubilee Singers, and Salvation Army, and assisting the Talking Newspaper, amongst some of her other community efforts. “New Milton Rotary Club have done wonderful things in our community, supporting local charities Oakhaven Hospice; Home-Start New Forest; New Forest Disability; Honeypot House; Fortune Centre of Riding Therapy; First Responders; local primary and secondary schools; and groups supporting older citizens, sports and disadvantage families. 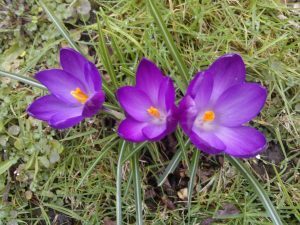 And the purple crocuses on the Recreation Ground will be a forever reminder of their commitment to eradicate polio around the world. 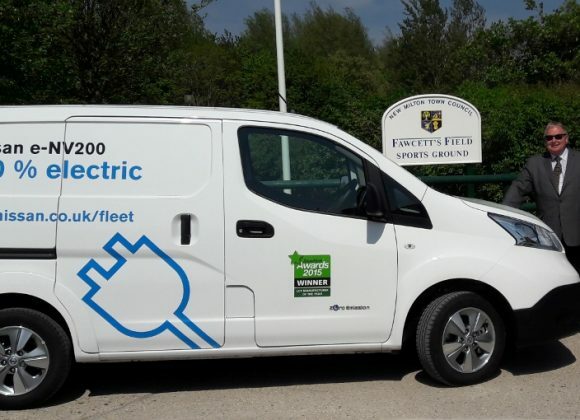 A Mission now just about accomplished, and a fitting tribute to Rotary”.